In 2010, 47 percent of children under the age of five belonged to a racial or ethnic minority group. That statistic signifies a shift in the demographics of tomorrow’s classrooms. As the nation’s K-12 students become increasingly diverse, school environments, educational policies, and teaching best practices must take students’ cultural backgrounds into account. Research of Dr. Katherine Rodela anticipates changes needed in K-12 schools. The educational leadership professor is rethinking the role of parent leadership in school systems. She is also examining how district leaders can develop an equity mindset—the belief that by engaging members of a diverse community, we can effectively address challenges and achieve excellence. Dr. Rodela explores the effects of educating Latino parents about the U.S. school system. Working in partnership with the Clark County Latino Youth Conference and Vancouver Public Schools, she co-founded the Southwest Washington Latino Parent Leadership Institute. 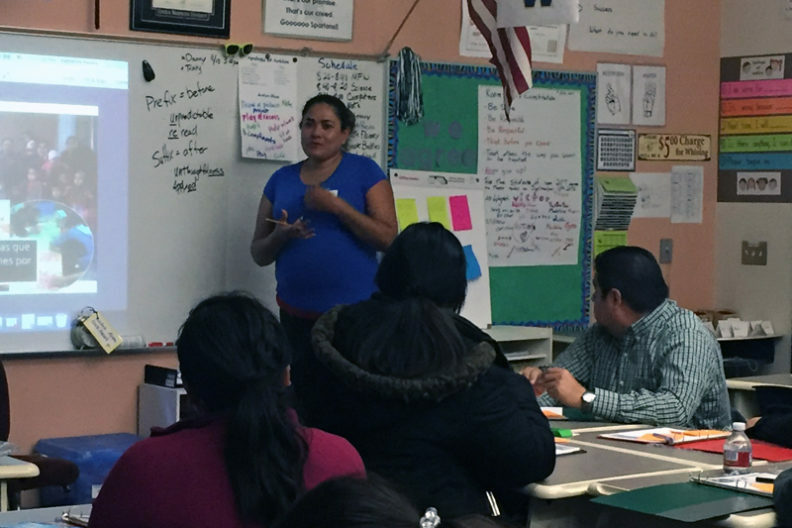 Parents gather weekly to learn about the operation of their children’s schools, as well as academic expectations and opportunities. The meetings empower parents to participate more fully in their children’s education. The Institute aims to build a strong parent community, so that parents will share what they learn with others and eventually run similar programs themselves. Dr. Rodela plans to study how this kind of participatory, community-based leadership affects families, schools, and policy. Her research may lead to a model for parent involvement that could be shared nationwide. It could help school districts encourage participatory leadership from families whose voices have traditionally been unheard in educational decision making. Dr. Rodela is also exploring how equity mindsets develop among school district leaders. A long-term study follows a cohort of principals and superintendents who completed a superintendent certification class that she taught last year. Most of these administrators serve in rural communities. Through interviews, surveys, and site visits, Dr. Rodela examines how principals and superintendents can be social justice leaders in diverse areas. She observes how these leaders are navigating Washington’s changing educational policy environment. Her findings will build a foundation for further research to identify best practices for educational leaders and policy makers.